I created the video above as a visual proof-of-concept for a project I’m currently working on with Two Story Productions and Knowledge Network. The project relies heavily on space visuals, and I wanted to demonstrate that compelling footage could be created quickly and easily by mining the impressive image libraries of NASA (and others) for stunning photography, and then bringing them to life with simple 3d ‘tricks’. The demo footage probably won’t make it into the final project, so I wanted to show it off here, and give a short breakdown of some of my favourite shots. All of the imagery in the video is sourced directly from actual photographs, with minimal retouching. Most of the shots make use of photogrammetry, or ‘projection-mapping’, in order to rapidly block out the source images as virtual scenes. But first, watch the video! Full screen! HD! Turn down the lights and turn up the music (Courtesy of Two Steps from Hell)! 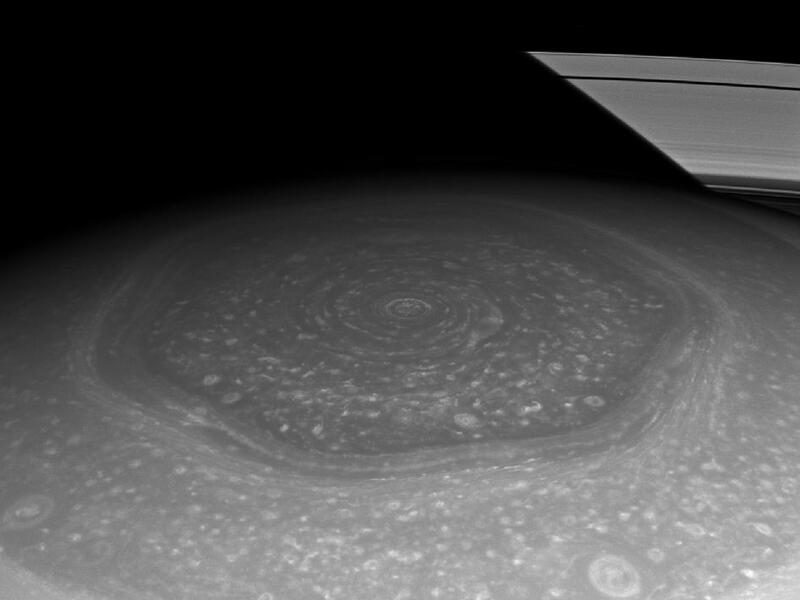 If you’ve never heard of Saturn’s polar hexagon before, check this out. It’s mind-blowing. Most of the shots of Saturn and its moons were accomplished in the same manner, by simply projecting high-resolution Cassini photographs onto spheres, and then navigating around those spheres with a virtual camera. Most of the shots are one image + one sphere = really simple stuff. For a shot of the polar hexagon, however, I worked in additional elements to bring the scene to life. Twixtor was used to stretch these eight short frames into a seamlessly smooth 240-frame long animation, which was then layered onto my 3d model of Saturn. For a shot of the mountain in the centre of Tycho Crater, a slightly more detailed approach was needed. In this case, the source photograph was projected onto a low-resolution 3d model of the landscape in Maya. 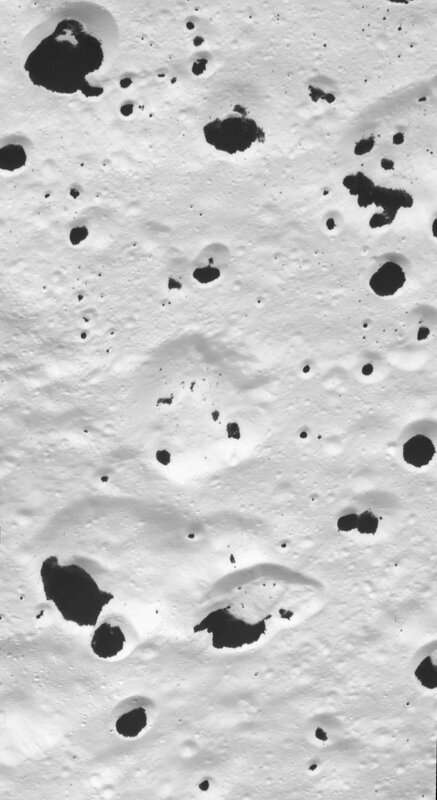 Other scenes required a more detailed sculpting of features, such as this flyover shot of the surface of Iapetus. working from this beautiful image of the moon’s icy surface, I sculpted out ridges and craters in Mudbox and staged the scene in Maya. One of the happy side-effects of working off real photographs is that the 3d model inherits the light and shadows of the photograph being projected onto it, so there is no need to worry about placing lights in your scene. Hopefully, as Space Suite is further developed, I’ll be able to show off more beautiful shots! How beautiful, Lucas. Thanks for sharing this. Love being able to take a look behind the scenes to see how the graphics were made! Great job on the video as well! Very Beautiful. Thank you, Lucas. Lucas Green's Portfolio | Space Suite season two is now live!